Fritz joined Schooley Caldwell in 2018. He is an Interior Designer responsible for program development, space planning, interior detailing, finish and furniture research, and specifications. 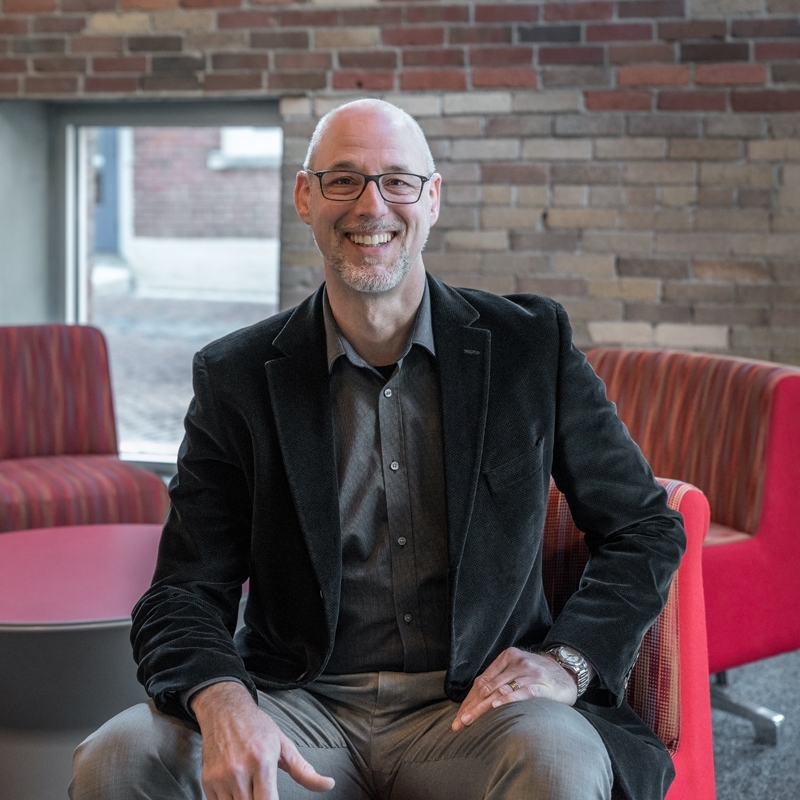 Fritz’s involvement with projects begins during the programming phase, where he can produce detailed and accurate space need programs as an advocate for the building users, ensuring that all functional needs are met by the final design. His skill in conceiving custom installations from concept to finish detailing results in unique solutions for clients that support the overall Architectural concept. Fritz brings a diverse background in Interiors from commercial (contract, retail and hospitality) to high-end residential. His work experience spans team environments in a large firm to proprietor of his own design studio. Between those professional stints, he served as Chair of Interior Design at Columbus College of Art and Design. As Director of Interior Design, Fritz is involved in developing the design philosophy and aesthetic vocabulary for the building and client. He assists in ensuring that all aspects of the design, down to the final furnishings are functional, affordable and aesthetically appropriate. His extensive experience in varied project types, combined with his expertise in Historic Preservation, ensures success with interior renovations as well as the design of new buildings. Fritz received a BA from Northwestern University and a BS in Interior Design from the University of Cincinnati. He holds a Law Degree from Southern Methodist University as well as a Masters in Historic Preservation from Columbia University. Locally, he’s shared his passion for Preservation as a trustee for several local non-profits, including Columbus Historical Society, Heritage Ohio, the Victorian Village Commission, and Frank Lloyd Wright’s Westcott House Foundation. A restorer of three historic homes over two decades, Fritz tested his training on the most demanding clients – his own family. Mid-renovation on his current home, he was happy to discover that its architect was Ray Sims, a Schooley Caldwell Founder.